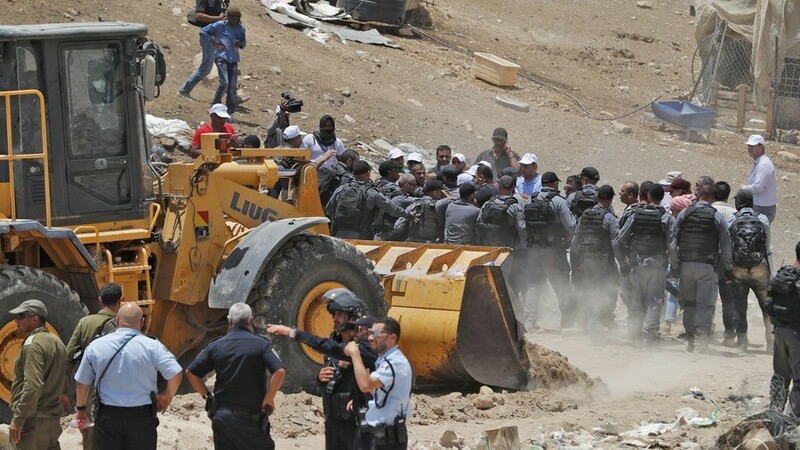 Israeli authorities have moved three bulldozers to Khan al-Ahmar, a Bedouin herding village in the West Bank, following a court’s ruling that declared the settlement illegal under Israeli law. The military already left a land confiscation notice there on Tuesday, local media reported. Read more + video.